Giovanni Simeone celebrates a goal for Fiorentina. Giovani LO CELSO, Giovanni SIMEONE and Leandro PAREDES all scored for their clubs. 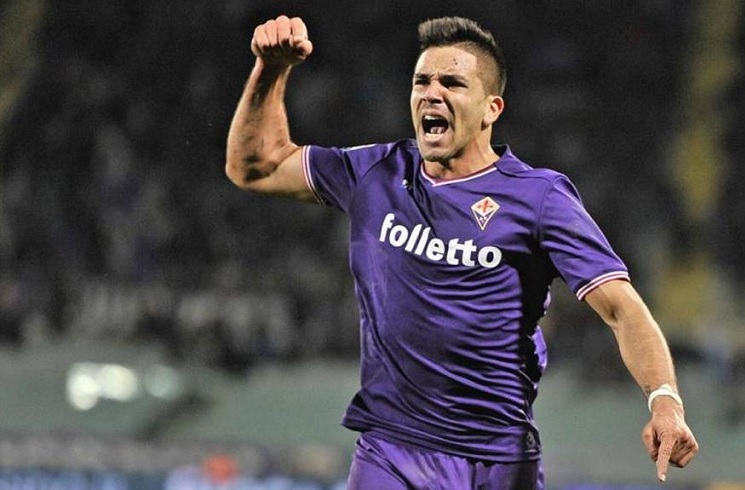 Giovanni SIMEONE scored for Fiorentina in their 3-3 draw against Sassuolo. In a match which produced six goals, all of which came in the second half as well as two red cards. Another Giovani but this one spelled differently, Giovani LO CELSO scored his third goal of the season in La Liga as Real Betis won 2-0 against Rayo Vallecano. The Argentina man was on target from the penalty spot and made no mistake to give his team the 1-0 lead. Leandro PAREDES was on target in Russia for Zenit St. Petersburg in their 2-1 loss against Rubin Kazan. PAREDES, like his Argentina team mate, also scored from the penalty spot. Nice penalty from paredes, It was perfection for a penalty.